The International Criminal Court’s decision over its jurisdiction in the case of forced deportations of the Rohingya from Myanmar may not help to bring those responsible to justice. However, it may help the Court fight against forced deportations and forcible transfers in the future. The International Criminal Court Pre-Trial Chamber’s decision that the Rohingya situation falls within the Rome Statute and can, therefore, be investigated by the Prosecutor may not appear to be a significant milestone in achieving accountability against the government of Myanmar and its military, the Tatmadaw. While the Prosecutor has now confirmed a preliminary examination will be opened examining the deportation of the Rohingya, this will be a slow process. The likelihood of any member of the Myanmar government actually being tried and convicted is low. However, its effects will be broader than just the Rohingya situation for two reasons. The first is that it in effect creates a new referral mechanism for situations of forced deportation. The second is because it helps to both clarify and highlight the international crimes of forced deportation and forcible transfer, which may lead to their prosecution on a more routine basis. In spite of this, the UN Security Council’s only actions so far have been to adopt a Presidential Statement on 6 November 2017, which condemned the widespread violence, expressed grave concern over reports of human rights violations including by the Myanmar security forces, and stressed the “primary responsibility of the Myanmar government to protect its population.” A visit by the Council to Myanmar and Bangladesh between 28 April to 1 May 2018 led to no formal outcome, nor did an open briefing of the Council which was held on 28 August 2018. By contrast, prior to the outbreak of the most recent violence, the Human Rights Council had appointed an Independent International Fact-Finding Mission on Myanmar to investigate human rights violations by military and security forces in Rakhine State. The Report, tabled on 24 August 2018, found strong evidence for the violation of international law. It concluded that the Tatmadaw were “the main perpetrator of serious human rights violations and crimes under international law.” The Report established the likelihood of genocidal intent: “The crimes in Rakhine State, and the manner in which they were perpetrated, are similar in nature, gravity and scope to those that have allowed genocidal intent to be established in other contexts.” This finding was not based only on the level of organisation involved and “the extreme scale and brutality of the violence” but also because it was deliberately planned “to alter the demographic composition of Rakhine State.” Notably, the Report also specified that forced displacement appeared to have occurred and constituted both a crime against humanity and a war crime. 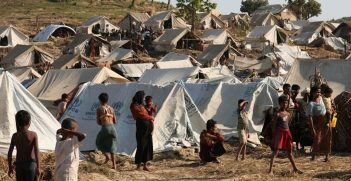 While there is considerable evidence of crimes against humanity, war crimes, and even potentially genocide has occurred against the Rohingya population of Myanmar. Myanmar is not a signatory to the Rome Statute and therefore two of the referral mechanisms established within the Rome Statute – referral by a state party, and the Prosecutor choosing to investigate a crime that is within the jurisdiction of the Court – appeared to not apply. 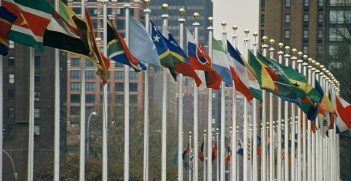 There have been some efforts by NGOs, including Human Rights Watch and Fortify Rights, to argue for the UN Security Council to refer the matter to the ICC, a stance also adopted by the Independent Fact-Finding Mission. While this is the third referral mechanism within the Rome Statute, the Council has not acted. Therefore, when the Prosecutor asked for a ruling in April over whether the Court could exercise jurisdiction over the deportation of the Rohingya people from Myanmar to Bangladesh, there was some surprise. The Prosecutor’s argument was that the Court could exercise jurisdiction because an element of the crime of deportation – crossing an international border – had occurred on the territory of Bangladesh which is a signatory to the Rome Statute. The Rome Statute of the International Criminal Court includes “deportation or forcible transfer of population” as a crime against humanity “when committed as part of a widespread or systematic attack directed against any civilian population, with knowledge of the attack.” As the Chamber noted, deportation and forcible transfers are two separate crimes within the Rome Statute, with deportation clearly being linked in the elements of crimes to the destination of another state, in contrast to forcible transfer which is linked to another location within the same state. The Rome Statute further defines deportation or forcible transfer as “forced displacement of the persons concerned by expulsion or other coercive acts from the area in which they are lawfully present, without grounds permitted under international law.” Notably, there is no requirement that armed conflict needs to be present, nor, except with respect to the crime of persecution, that the crime requires a discriminatory motive. For it to be widespread requires it to be a large-scale action involving a substantial number of victims, while for it to be systematic requires a high degree of orchestration and planning. The Chamber found that the Rome Statute specified at least one legal element of a crime must occur on the territory of a state party. It noted deportation had an inherently transboundary nature,” which means the conduct “related to this crime necessarily takes place on the territories of at least two States.” Although the acts complained of were initiated in Myanmar, the court accepted that they were potentially completed in Bangladesh when the victims crossed the border. 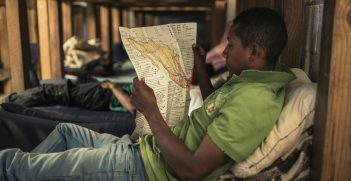 The nature of the decision means a range of other situations of forced deportations and related crimes could now be within the Court’s jurisdiction, providing one of the receiving states is a party to the Rome Statute. This question has already been raised around Syria, where Jordan has accepted hundreds of thousands of refugees and is a Rome Statute party. In effect, therefore, this decision may have created a fourth referral mechanism to the Court, by allowing neighbouring states which have received refugees who are victims of forced deportation to refer the situation in the state of origin to the Court. This decision may well also have important effects on how forced deportation and transfers are viewed as international crimes, both clarifying how and when they should be charged and creating a clear deterrent effect. 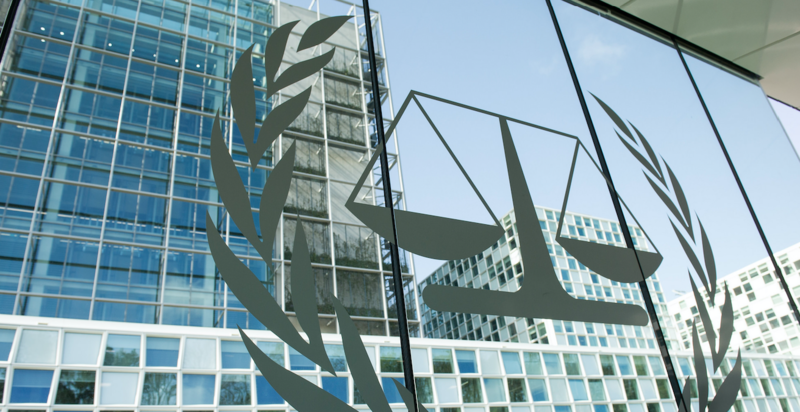 The ICC’s jurisdiction decision, consequently, may well have long term international effects, even if it does not provide immediate accountability for the crimes committed against the Rohingya population. It helps to clarify both forced deportations and forcible transfers as crimes against humanity, which may lead to further charges and investigations of these crimes. It also in effect creates a new referral mechanism, whereby states who are signatories to the Rome Statute and who are receiving refugees who are being forcibly deported will be able to refer the situation in the state of origin to the Court for investigation. Dr Victoria Colvin is a lecturer at the School of Law, University of Wollongong. She completed her doctorate at the TC Beirne School of Law, University of Queensland, in 2017. From 2001–2009, she was a prosecutor with the Criminal Justice Branch of the Attorney General of British Columbia, Canada. Dr Phil Orchard is an associate professor of International Relations at the University of Wollongong and a senior research fellow at the Asia-Pacific Centre for the Responsibility to Protect. This article is an extract from the Colvin and Orchard’s article in Volume 73, Issue 1 of the Australian Journal of International Affairs titled “The Rohingya Jurisdiction Decision: A Step Forward for Stopping Forced Deportations.” It is republished with permission. Myanmar's treatment of the Rohingya has passed the threshold for action under the Responsibility to Protect doctrine. As a regional leader, Australia has a duty to act. People who are forced to leave their homes and communities, whether running for their lives or needing to find a better one, face uncertainty and potential persecution. What are the legal rights of these vulnerable groups?